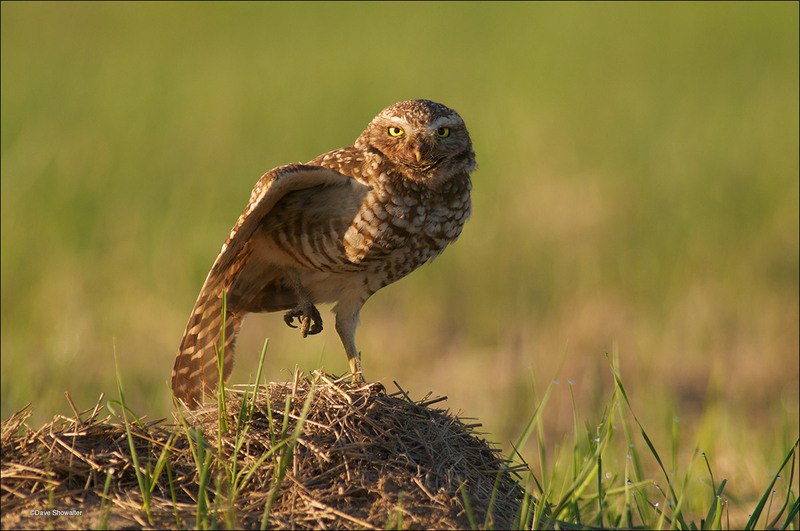 A female Western burrowing owl stretches her wing while perched on a prairie dog burrow. I photographed this owl from a blind while hoping her young would emerge from the burrow for the first time this spring. Athene cunicularia. Photo © copyright by Dave Showalter.